Sleek, sporty and aerodynamic roof boxes with a low-profile roof-hugging design that looks smart on modern cars. Available in 2 sizes in either Black Glossy or Titan Glossy (silver) colour options. 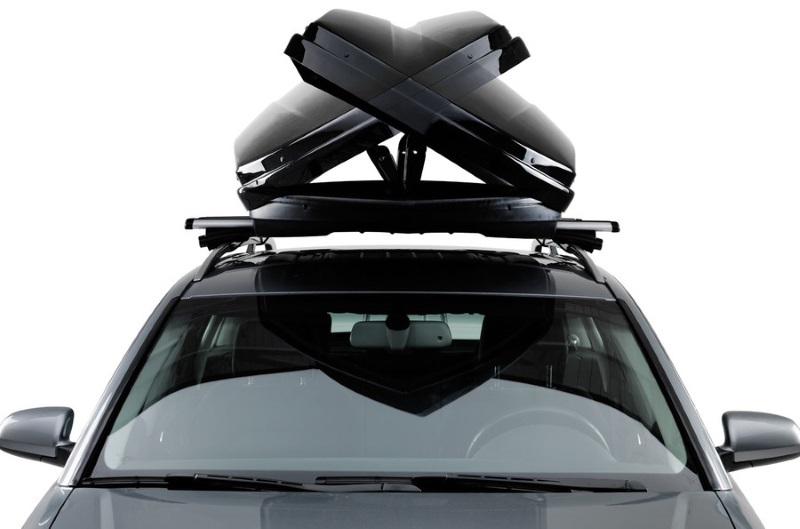 The Thule Dynamic range of roof boxes are sleek and sporty, roof-hugging top boxes that curve to fit your roof. The Dynamic roof boxes look smart on modern cars. 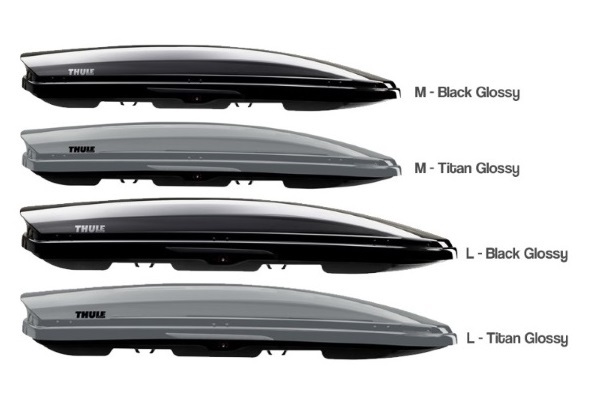 There are two size models and each are available in the Black Glossy or the Titan Glossy colour options. The aerodynamic design uses diffuser technology to optimize air flow around the box. 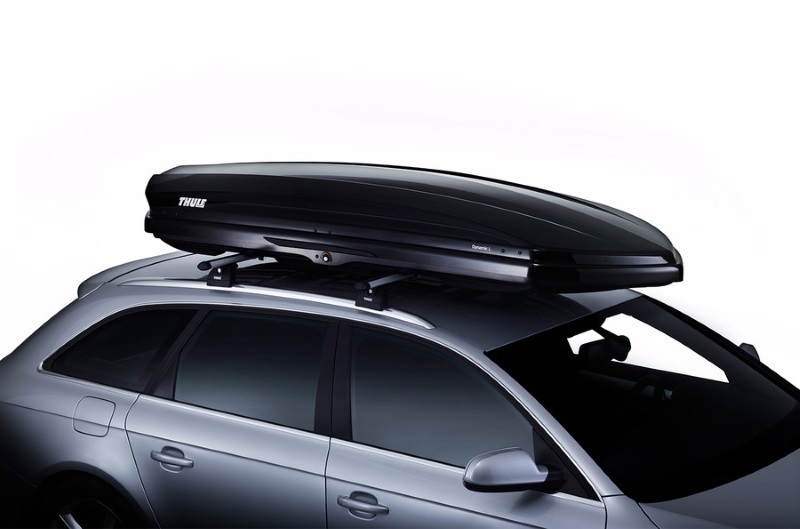 This is a premium roof box from Thule so it is packed full of features. The pre-installed Power-Click mounting system makes fitting the box to your roof racks very easy - simply position the box over the bars and tighten the 4 Power-Click mounts until the torque-limiter clicks. The Dynamic roof boxes also have a central locking system that doesn't allow the key to be removed until the box is fully closed. Dual Side opening allows the box to be opened on both sides, for convienient loading/unloading on either side of your vehicle. An integrated base mat with non-slip surface reduces the chance of the cargo moving during transit. 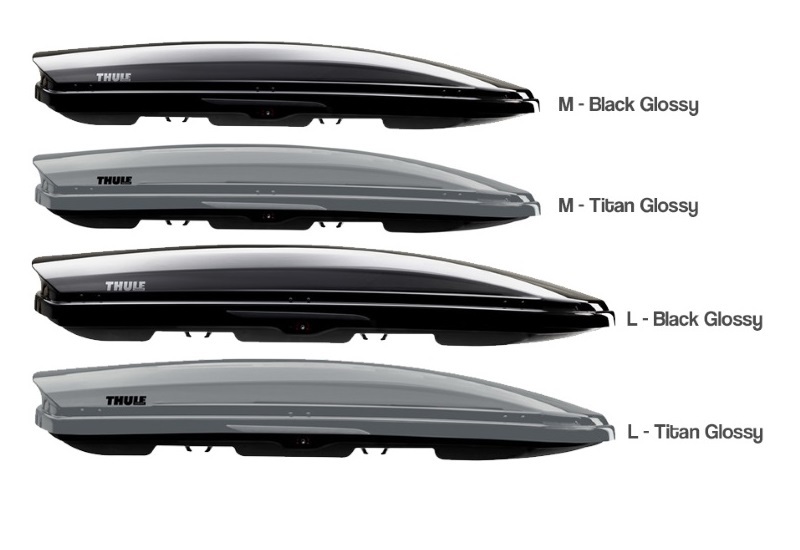 The Dynamic range consists of 2 sizes with each size available in 2 colour options: Titan Glossy (Silver) or Black Glossy. * IMPORTANT NOTE - Video may not show the current model for the Thule Dynamic. 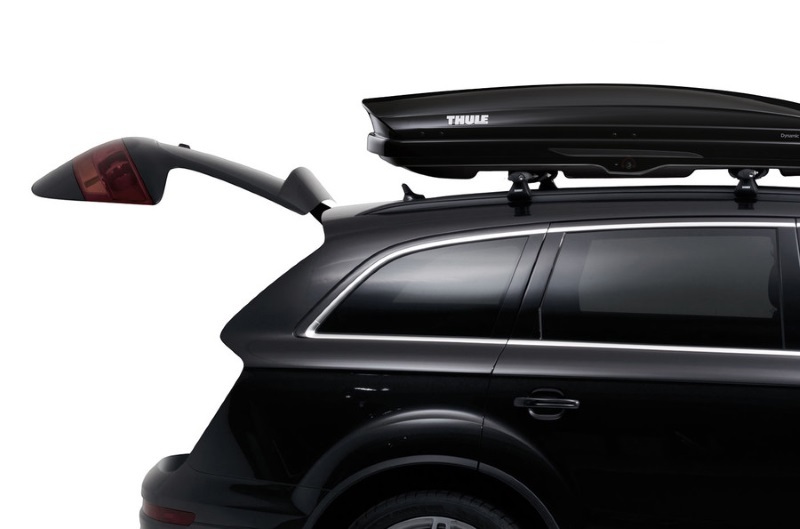 The Thule Dynamic is available for in-store collection only. Buy online from our website and collect from one of our nationwide branches.